(6) Accounts or property titled in the name of a trust. The important thing to remember is that your Will does not control the distribution of any of the above-listed items that will pass outside of probate. This is true even if your Will specifically mentions the distribution of a non-probate asset. For example, if your Will states that the cash and securities in your brokerage account xyz is to be distributed to your three children in equal shares, but you have named only two of your children as the TOD beneficiaries of your brokerage account then at the time of your death the account will pass outside of probate to your two children named as TOD beneficiaries of the account and will not be distributed under the terms of your Will. Another example is if your Will states that your estate is to be distributed to your three children in equal shares, but you have titled your bank account as a joint account with rights of survivorship with only one of your children, then at the time of your death the cash in your bank account will pass to the surviving joint owner and will not be distributed under the terms of your Will. Avoiding probate through the distribution of non-probate assets is certainly not a bad thing, but it is important to ensure that it is properly done. 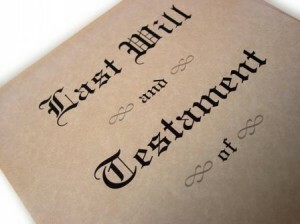 Estate planning encompasses more than simply preparing a Will. To avoid any unintended surprises after your death, it is critical that you review the ownership of your assets and any beneficiaries that you have named. It would be a good idea to meet with an estate planning attorney to review your assets and your estate plan to ensure that your assets will be distributed according to your wishes. Mr. Mathis focuses his practice in counseling and assisting individuals with Elder Care Planning, Estate Planning, and Estate Administration. 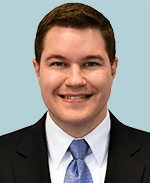 As part of his practice Mr. Mathis also handles guardianship proceedings for disabled adults and minors.